SOTA News 2003 SOTA Instruments Inc.
With the purchase of any SOTA unit at regular price, you can purchase a Zapper or a Silver Maker at a 50% Discount—while quantities last. Why is SOTA offering a 50% discount on new streamlined units when purchased with any unit at the regular price? Recent events have made us realize it is time, for now, to discontinue manufacturing the Zapper and the Silver Maker. Governments are, unfortunately, choosing to restrict freedom of choice in health care. Because of this, we have taken a close look to decide which units we are willing to put time, energy and money to defend. If time, energy and money were no concern then we would not have to make this choice. Our closer look made us realize there is a company who is putting time, energy and money to truly honor the work of the creator of the Zapper. We also realized there is a great company putting the effort into research for the use of Colloidal Silver. 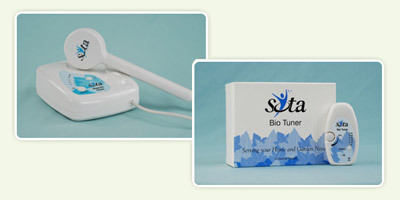 At SOTA, our efforts are focused on the the micropulsing function of the Silver Pulser, the Magnetic Pulser and the Bio Tuner. Our hearts and passion are with these technologies and the pioneering work of the physicist who developed them. We want to assure you, our customer, that we admire and respect all the individuals out there who are doing pioneering work in the field of electricity and health. Our decision is to discontinue manufacturing the Zapper and Silver Maker at this time. For that reason we are offering them at a 50% discount when purchased with any of SOTA’s units at regular price ... while quantities last. The new stream-lined Zappers ZHC5 have arrived. We are now shipping back-orders. The new stream-lined Silver Makers CSG5 have arrived. We are now shipping back-orders. The first of the new stream-lined Magnetic Pulsers MPG5 and Bio Tuners BT7 have arrived. We will be receiving the complete shipment within the next few weeks. We are now shipping back-orders. 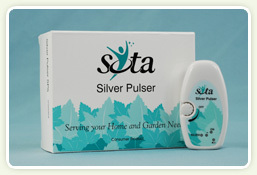 We are very excited to offer a “lite” version of our best-seller, the Silver Pulser. It is simply a low cost version of the Silver Pulser. Special volume pricing is available for developing countries. Please call for details 1.800.224.0242. 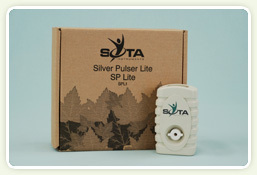 What makes the SP Lite different from the Silver Pulser? The SP lite has a six (6) month warranty, less accessories and is built to be more rugged. If price is a concern consider the SPLITE. 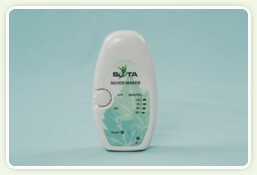 If you want a full-featured unit then the Silver Pulser is the product for you. Our new Silver Pulser ZBB5 is now shipping. This is the first unit with our new streamlined look. 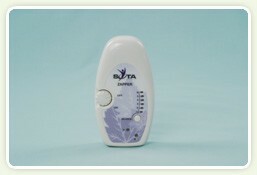 We are now shipping to you with the understanding that the SOTA products are for well-being or relaxation. Regulators in the Medical Device department of Health Canada have indicated both verbally and in writing, that our units can be sold as consumer products. It is with this understanding that we are fulfilling your orders. These units have not been evaluated by Health Canada or the FDA for safety or effectiveness. Government regulators say that testimonials are misleading and deceptive. Also, please understand that these products are not intended to nor are they allowed to cure or treat any specific disease. Government regulators state you must consult a medical doctor for the treatment of all diseases. Dear Customers, Health Canada is once again trying to revoke our medical class licenses for our products. We did due diligence in providing the necessary documents and data that Health Canada requested in order to grant us licensing. The issue at hand here is Canadian freedoms for choice in health care. So, until further notice we have ceased all Canadian sales of the Silver Pulser, Bio-Tuner, and Zapper. We are sorry for this.